A new report from the National Registry of Exonerations has confirmed what we already knew (I know most of y’all ain’t surprised): Black people are more likely to be wrongfully convicted than their white counterparts, and they are also more likely to spend a longer time behind bars before they are exonerated. As the report, titled “Race and Wrongful Convictions in the United States” (pdf), notes, although black Americans make up a mere 13 percent of the population, they constitute 47 percent of the 1,900 exonerations listed in the registry as of October 2016. The joint project between the University of California, Irvine, the University of Michigan Law School and the Michigan State University College of Law focuses on three types of crime that produce the largest number of exonerations on the registry: murder, sexual assault and drug crimes. “In some cases, you see some type of explicit racism,” Samuel Gross, a law professor at the University of Michigan and a senior editor of the report, told CNN. Gross also said that implicit racism is also a factor. In murder cases, innocent blacks are about seven times more likely than innocent white people to be convicted. Gross told CNN that this was partially because homicide rates among black people are higher than among white people, therefore causing innocent black people to be more likely to be suspected and convicted of murder. In addition, the study notes that murder exonerations with black defendants were 22 percent more likely to include misconduct by police officers than those of their white counterparts. Also, on average, innocent black people spend three years longer in prison before they are released than white people who end up being exonerated. Those sentenced to death spend four years longer in prison. Black prisoners who are convicted of murder are also about 50 percent more likely to be innocent than other convicted murderers, with the disparity partially being tied to the race of the victim. According to the study, imprisoned African Americans are more likely to be innocent if they were convicted of killing white victims. 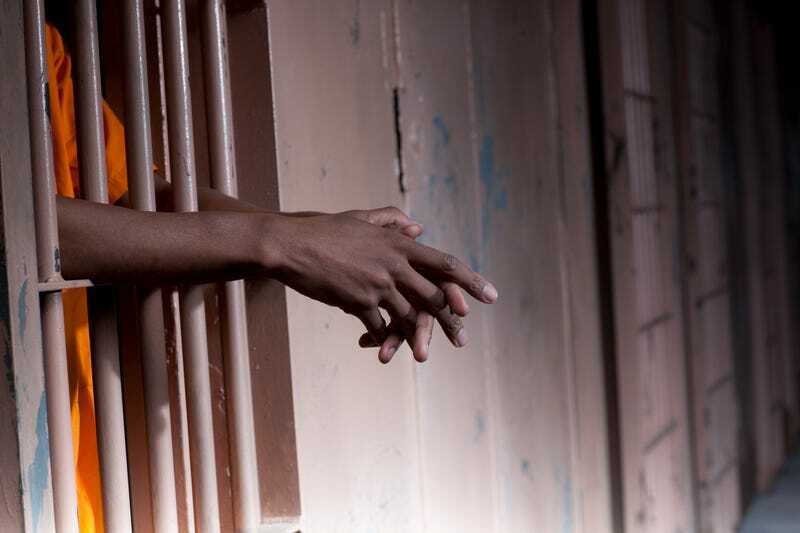 In terms of sexual assault, a black prisoner is three-and-a-half times more likely to be innocent than a white person wrongfully convicted of sexual assault. Much of the racial disparity in sexual assault convictions is related to white victims who mistakenly identify black assailants. The study notes that assaults on white women by black men are a small minority of all sexual assaults in the U.S., but constitute half of sexual assaults with eyewitness misidentifications that later lead to an exoneration. Lastly, in drug crimes, the study reports that national evidence shows blacks and whites use illegal drugs at the same rate ... however, black Americans are still five times as likely to go to prison for drug possession and about 12 times more likely to be wrongfully convicted of drug crimes. The study points out that the racial disparity is rooted in police enforcing drug laws more vigorously against black Americans, noting that African Americans are stopped, searched, arrested and convicted more frequently, even in cases when they are innocent.